I’ve seen this trend for some time now, garlands! 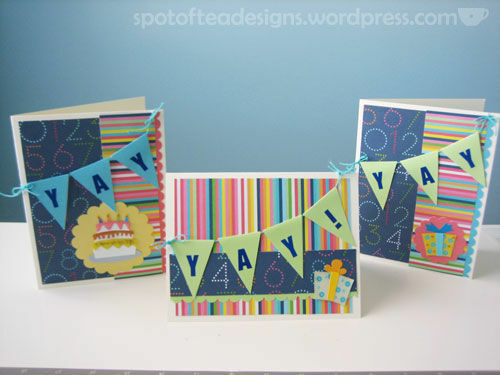 Physical garlands on mantle pieces or hung on dessert tables, and pennant style garlands strung on layouts and cards. I decided to try one out for myself! 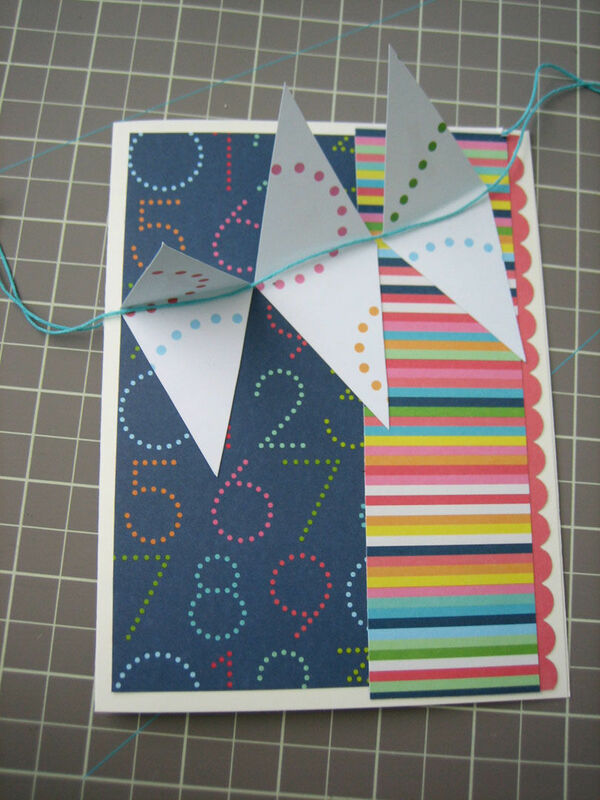 I decorated the front of a card using coordinating patterned papers, Next, I created a template that, when folded, would create a pennant. 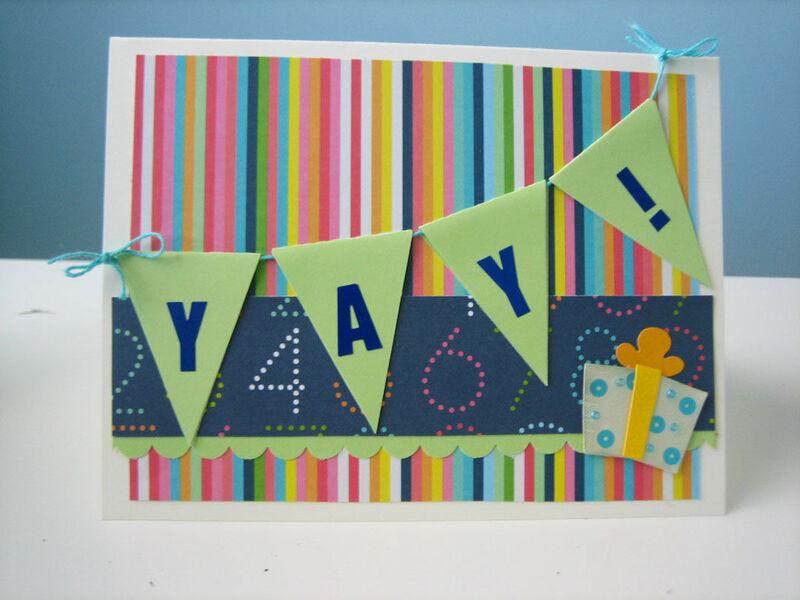 This pennant was sandwiched on a piece of colored baker’s twine which hung the garland pieces. I decided to make a little knotch on the top edge of the card and a hold on the fold so that I could string the garland piece. 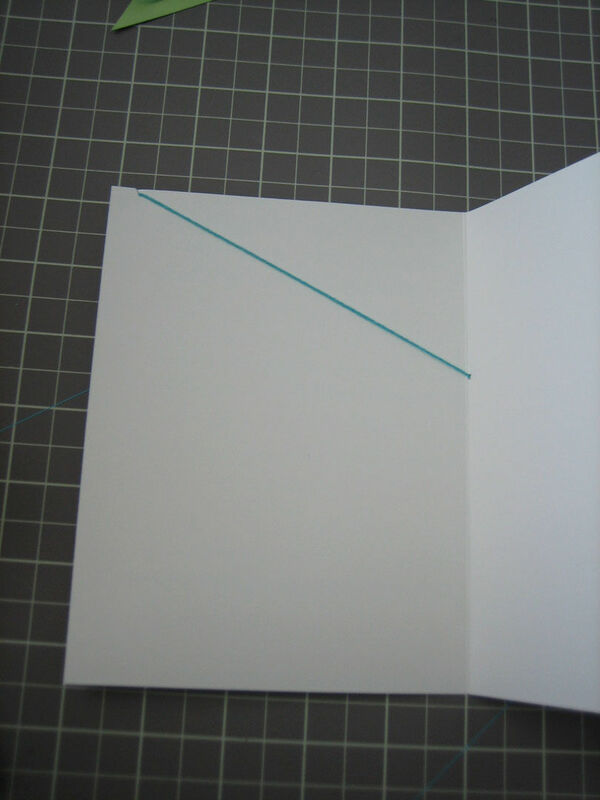 I love the style which includes a little bow on both edges so the hole and notch helped to secure the twine which was tied to another piece inside the card. 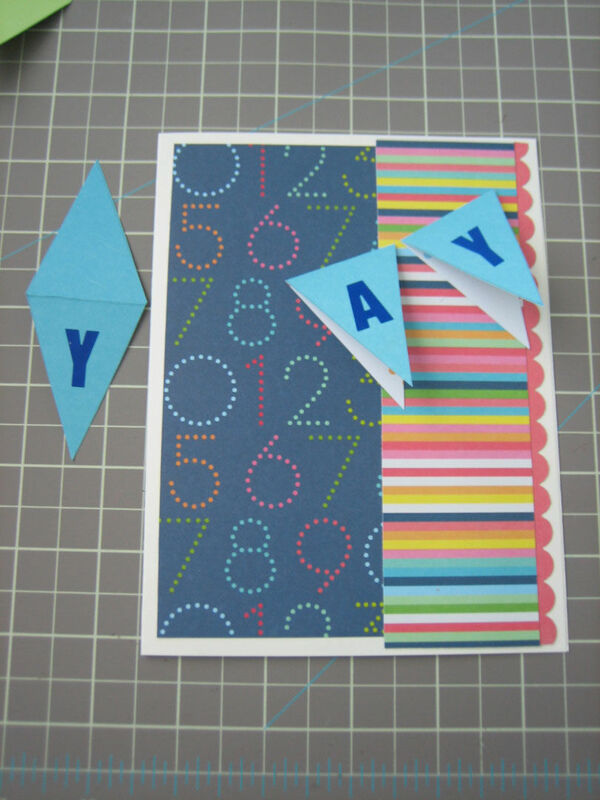 With a few other embellishment pieces and some alphabet stickers, the card turned into a “YAY it’s your birthday” pennant style garland card!